Maybe it’s because the new administration logically understands that “climate crisis” and “energy” are bitter ideological enemies? News of the DOE office’s word ban drew criticism from one green group. 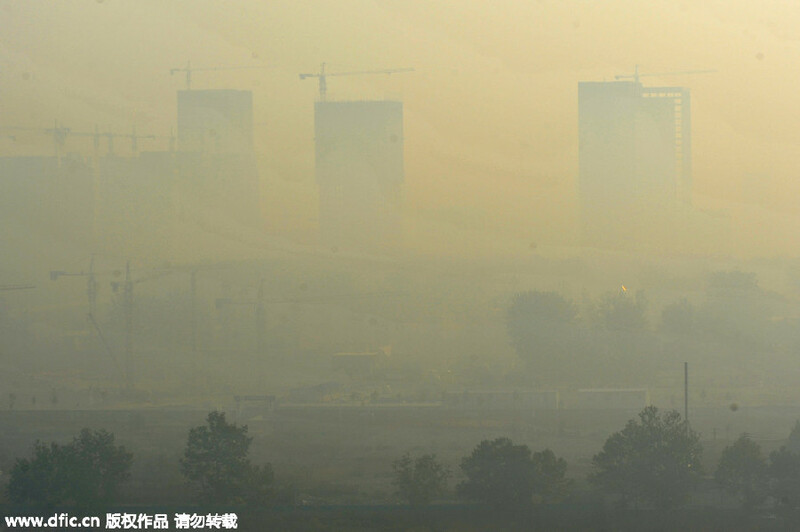 Meanwhile, China opens a new coal-fired power station every week. With 2,500 more in the pipe by 2030 (the exact year the Obama/China ‘Emission cap’ deal takes place). Epic greenwashing propaganda by the Chinese. But all told, they are winning the propaganda green game with green activists the world over, including Greenpeace China, praising China for their “unreliable” energy (wind/solar) efforts! Hilarious how far the West and eco-nuts are being taken for a ride. China, the world’s largest emitter of greenhouse gasses, has just called the USA “selfish” for wanting to remain economically competitive. Scientists are fairly confident that global warming increased the severity and likelihood of extreme heat events in 2013 in Australia, New Zealand, South Korea, Japan, China and Europe. Blistering heat waves recorded around the globe in 2013 were linked to human-caused global warming, according to a broad survey of studies on extreme weather events published yesterday. I’m completely confident that these scientists are clueless. 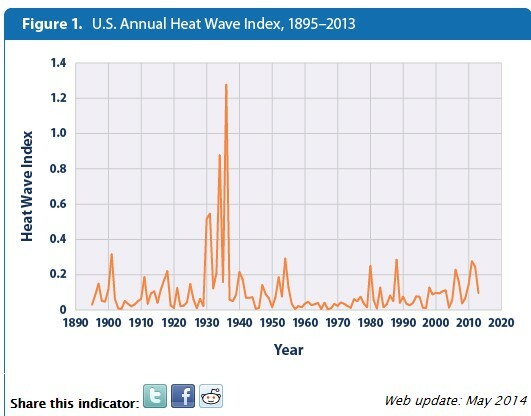 The EPA shows that by far the worst heat waves occurred 80 years ago, with CO2 at 310 PPM. The clearest climate signals emerged in Australia, which is the driest continent on Earth. In 2013, the nation faced its hottest year on record since measurements began in 1910. The year was also exceptionally dry, leading to the colloquial name the Big Dry. We need to start talking (CO2-free) nuclear. If CO2 is yur jam. IMHO nuclear fusion will be the future. Bonding/fusing hydrogen atoms just like our sun does! And the processes primary fuel source – sea water! A long way off as we are yet to control the enormous heat reaction and harness its limitless baseload energy. Warmist environmental editor Andy Revkin of the (warmist) NYTimes is a strong advocate. Well worth searching his name + hydrogen fusion. maturity, noun: the quality of behaving mentally and emotionally like an adult; a very advanced or developed form or state. If there is one attribute sorely missed in Australia’s energy debate it has to be ‘maturity’. Now that Australia’s suicidal renewable energy policies are starting to bite, destroying the viability of our cheapest and most reliable base-load power plants and, with them, our once reliable and affordable power supplies, a state of panic has set in. Fear and anxiety are not conducive to finding measured and lasting solutions to existential threats like the one that has already played out in South Australia; and which now threatens the rest of the Country. Spot-on. 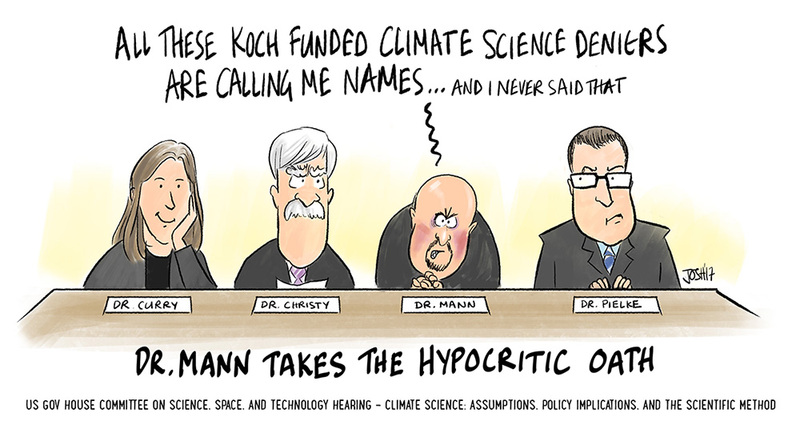 Mann’s testimony reads as a desperate defence of all his very sciency “denier” attacks, shonky-stick science and tired defence of the regurgitated “97% consensus” political lie. Of “the science” that he did offer, was an aggregated temp graph by Peter Jacobs of George Mason Uni. (p.13) conveniently leaving off the record 2016-2017 post El Niño temp drop that was observed across all data sets. Rather outdated and deceptive evidence put to the science committee considering he has had over four months to add the latest data. – Though in his defence, ending his temp chart on the record 2016 super El Niño high certainly leaves his debunked “hockey-stick” legacy/lie in tact. Deception and manipulation is what Mann does best. His ‘defence’ testimony bears this out. On this historic Brexit day the fun has not been confined to this continent. 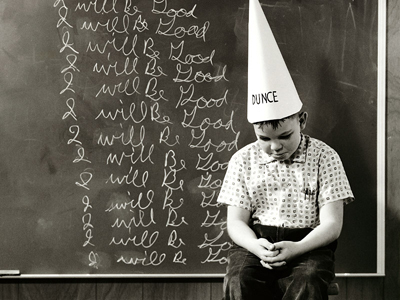 Over in the US they have had a ‘hearing’ on Climate Science with three of the world’s most eminent climate scientists. Michael Mann was there too. The Hearing- Climate Science: Assumptions, Policy Implications, and the Scientific Method, House Committee on Science, Space, and Technology. On the Panel were Dr. Judith Curry, Dr. John Christy. Dr. Michael Mann, and Dr. Roger Pielke Jr.
Worth watching (nearly) the whole thing. “…That all changed for me in November 2009, following the leaked Climategate emails, that illustrated the sausage making and even bullying that went into building the consensus. My testimony at the House Science Committee Hearing on Climate Science: Assumptions, Policy Implications and the Scientific Method. The fact that the UN IPCC and CMIP5 climate models (through which governments use to formulate trillions of dollars of taxpayers money on climate policy, schemes and scams) dismiss the sun as having anything to do with climate change aka global warming, should be the biggest hint of the nefarious agenda of the UN IPCC who set the “man-made” climate narrative. God forbid that the sun has anything to do with climate change! How would one be able to blame evil mankind and its evil trace gasses if the sun were a key driver? How would Governments tax the sun? Although the Spanish government did have a such a sun-tax during its disastrous “unreliable” (wind/solar) energy experiment that literally wrecked its economy.